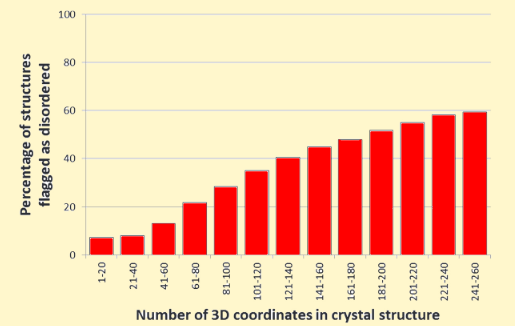 The size and complexity of molecules being studied by single crystal diffraction is growing year by year, resulting in an increase in the difficulties encountered during structure determination. From the crystallisation itself and sample handling, to structure solution and refinement, specific problems due to larger molecules are discussed. During refinement, several methods are available to deal with the problems encountered with large structures within the software CRYSTALS. Recent developments in precision and speed during the least squares in CRYSTALS is helping the structural scientist to deal with larger structures more efficiently.